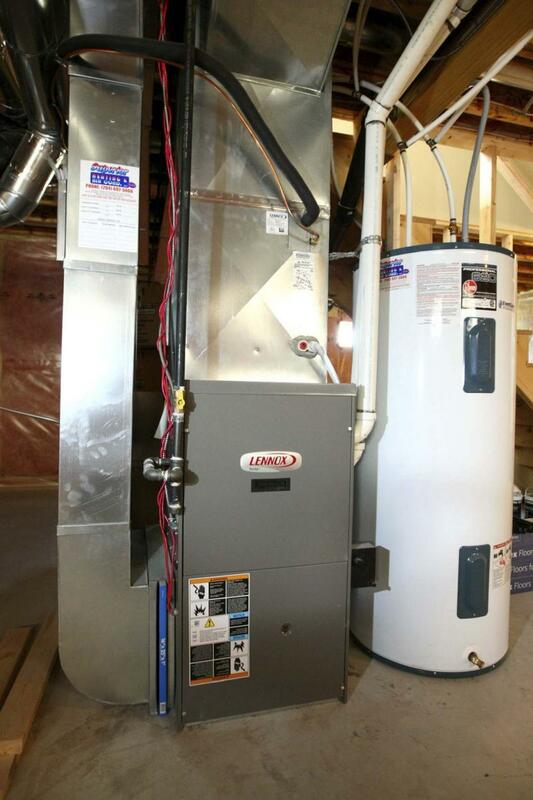 Any issues with a high-efficiency furnace and hot water tank should be handled by the professionals. Question: We installed a new high-efficiency furnace three years ago. When it gets really cold outside, the fresh-air intake collects frost on the inside of the PVC pipe, so the furnace does not have enough air and will not operate until I clear that frost. I was thinking of trying to add a heat pipe cable of some kind to keep the temperature up and stop the frost from forming. I have a bunch of friends who all have a similar issue, and I would appreciate your thoughts. Or maybe you have an alternate idea. Answer: There are numerous home repairs, or maintenance items, that are often within the skill level of many homeowners. But there are also several that should never be attempted. Your potential modification of any component related to your natural gas furnace should be completely avoided for safety reasons. Know when it is time to call in a professional gas fitter, which is now, for the issue you have inquired about to be solved. Most modern natural gas-burning furnaces are high-efficiency, condensing units, which typically have a pair of PVC pipes leading to the exterior of the building. The first pipe is for the products of combustion, which are blown outward as exhaust, by a dedicated fan integral to the furnace. The second pipe is often similar in size and length, but draws in air from outside the home, for the furnace combustion. These pipes may exit the building through separate openings, or may combine with a specialized vent hood near the point of exit. The pipes are often located close together, and it should be quite noticeable which is which when the furnace is firing, and it is cold outside. The exhaust seen exiting the vent pipe should be quite visible, mainly as steam or water vapour. It is quite common to see ice or frost form on the end or outside the exhaust pipe during very cold weather, as the steamy discharge quickly cools when it exits the warm basement. Even large icicles, hanging from the pipe to the ground, are typically nothing to be concerned about, as long as the ice does not block the vent. Carefully knocking this off with a stick or shovel, when it accumulates, is good maintenance. This should be in stark contrast to the intake piping, which should rarely ever have anything seen on it, at the exterior of the dwelling. Because the fresh winter air drawn into this pipe is very dry, in relation to the air inside the home, there should be no condensation and consequently no frost or ice formation. If this does occur, it is a clear-cut sign that there is something wrong with your natural gas heating system. Do I know why this is occurring in your home, and presumably to your friends’, as well? No. Should you put any kind of heating cable on the frosty pipe? No way! And to answer your question about whether I have an alternate idea, absolutely none! The reason for this is that I am not a licensed gas fitter, who is the only person you should consult with about anything to do with your furnace. As long as there is nothing blocking the air intake pipe sticking out from your house, like snow, bushes, a shed, a fence, or other storage, then it’s beyond any homeowner’s skill level to monkey around with. The reason for this is that the furnace in your home, and the associated gas piping and equipment, is far too dangerous to modify in any way. The furnace is equipped with multiple safety features that will prevent it from firing, or shut it off, if it becomes unsafe. That is precisely what it is doing when the fresh-air intake pipe becomes partially blocked, which should tell you that it must be serviced or repaired immediately. I would recommend calling the technician or contractor who initially installed the furnace, as they should know how to remedy the situation, if it is as common as you are suggesting. If the problematic furnaces are not all the same brand, but were installed by the same gas fitters, call a different company that regularly installs and services your type of unit. Many homeowners don’t realize this, but natural gas appliances, including heating systems and their gas-delivery pipes, are about the only thing you are not allowed to install or modify in your own home, unless you are a licensed gas fitter. While it can be almost as dangerous, even the electrical system can have many parts changed, upgraded or repaired by yourself. You can also replace your toilet or faucets without breaking any laws, as long as the appropriate permits are taken out. Windows, doors, roofing, insulation, drywall, paint and many other components may be re-done by weekend warriors. But you cannot play with the gas lines or equipment. The reason for this is too obvious to mention, but it is why we rarely ever hear of buildings blowing up from a natural gas or LP leak. We do, unfortunately, have several yearly occurrences of deaths from carbon-monoxide poisoning, often attributable to issues with gas heating systems. Anyone giving advice, or guessing about possible reasons for your frosty pipe and furnace issues, must be an experienced licensed gas fitter, or should not be consulted. It is not within my expertise, as a registered home inspector, to evaluate a potentially life-threatening issue like yours, so calling in a professional HVAC technician should end the problem and properly answer all your questions.